A BUBBLING CAULDRON: Marathon Council Meeting Ends In A Fiasco! Remember how I've mentioned in the past that nothing good happens at Costa Mesa City Council meetings after midnight? Well, the council proved that point once again as their latest meeting ended with a very dull thud. Because the meeting ended at 1:20 a.m. Wednesday morning and because I'm still dealing with the aftermath of this darn cold and because I'm just too exhausted to give you more right now, let me attempt to summarize how the final item on the agenda was handled. I'll cover the rest of the agenda later today sometime. 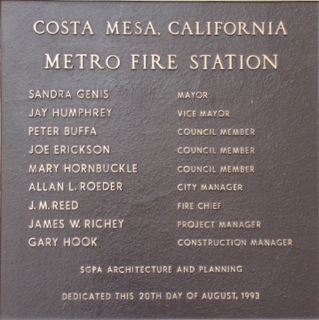 The issue at hand - the reorganization of the Costa Mesa Fire Department and, specifically, the Ambulance Transport segment of that project. The council began hearing this item at 9:37 p.m. Tuesday evening following a 10 minute break. CEO Tom Hatch kicked it off, then turned the presentation over to Fire Chief Dan Stefano, who took us through a "brief" history of the planning of this process dating back to the middle of 2011, through the tenure of Interim Chief Tom Arnold and the various approvals given by the council at critical mileposts in the evolution of the plan. The consultants who were hired to prepare the feasibility study that's available on the city web site for review made a presentation, explaining their process and their backgrounds. They refuted information in the letter from CARE Ambulance received that day. Seventeen speakers addressed this issue, most of whom concurred with the staff recommendation to select Option #3, a public/private partnership, although more than a few thought other options were more appropriate. 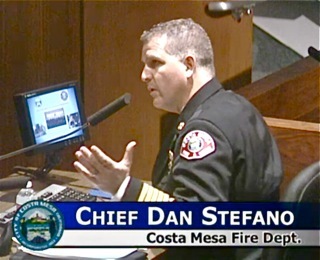 Some thought #2, which would generate the most cash for the city and put the full responsibility for medical transport in the hands of the Costa Mesa Fire Department, was the better choice. Of those seventeen speakers, the final one was Troy Hagen, the owner of CARE Ambulance, who refuted claims made by the consultants. Hagen had earlier sent a letter to Mayor Steve Mensinger - three pages of petulant rhetoric which ended by him stating that his company would NOT participate in Option #3, the staff recommended option, because it would cost them money to do so. AFTER 3.5 HOURS - NOTHING! Three hours and thirty-two minutes later, when the final vote was cast - after Councilwoman Sandra Genis made a motion to approve the staff recommendation and go with Option 3 with Katrina Foley seconding that motion, Jim Righeimer offered a substitute motion, seconded by lamest of lame ducks, Gary Monahan. That motion was to adopt Option #1 - which is to do NOTHING! Zero, nada, no change! After much wailing and gnashing of teeth and with Foley calling him out for what he is, the motion passed on a 3-2 vote, with Genis and Foley voting no. That thud I mentioned above was actually a thud muffled by Foley yelling at Righeimer for his subterfuge. It was not a pretty sight. So, after more than three years since the discussions began, thousands of staff hours assessing the organization and evaluating the results of the consultants report, there will be NO CHANGE in the way Emergency Medical Services are handled in the city. WE'VE GOT THE EQUIPMENT, BUT..
After the council previously approved the purchase of six medical vans worth $1.6 million and after putting half of them in service anticipating the next step - to use them to perform patient transport and reaping the financial windfall that goes along with it - nothing will happen. NO RETORT - SHE WAS CORRECT! 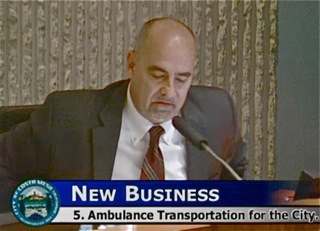 It was interesting to note that when Foley was calling Righeimer out last night, describing in great detail how he had joined the other council members over several years in voting to move forward with elements of this plan, including buying the medical vans, by quoting the reports from those meetings, he just sat there with a kind of vacuous expression on his face. He did NOT even attempt to rebut her claims. 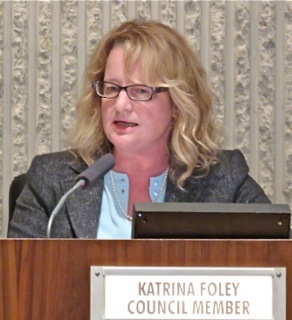 The meeting ended with Foley demanding that City Attorney Thomas Duarte investigate and report back to the council whether Righeimer and Mensinger should be barred from any consideration about the future of Fire Station #6 - the subject of their recent Daily Pilot commentary in which they said it should be kept open - and she referred Duarte specifically to what she called the "Woody's Wharf" case. This was one of the most disppointing council meetings in my memory. It's hard to describe the frustration one feels after watching all the staff time, hard work, overtime being worked because staffing has been delayed all for naught. Watching that drama play out it became quite clear that there's something more at play with the Righeimer/CARE Ambulance relationship. We will find out what that is and report back. In the meantime, your council majority just voted to deny all the years of staff work - the careful consideration given to this issue - and ignore the millions of dollars left on the table for CARE Ambulance to continue to pocket. The next time Righeimer, Mensinger or Monahan complain about not being able to fund something, please do remind them that they just left a big chunk of change on the table. More on the rest of the council meeting later today. Suffice it to say, this was not the only disappointment of the evening. I have been sharpening my shovel to dig up the truth. I did 3 years in the ambulance business and it is big bucks when you hold the 911 contract as we did and as CARE does..Dry runs ( not billable) do not pay. Is there any doubt these guys are bought and paid for? Just pathetic. I wish people understood the level of corruption and BS that goes on here. Appalling but not surprising. We have a one person council (dictator) with 3 votes. 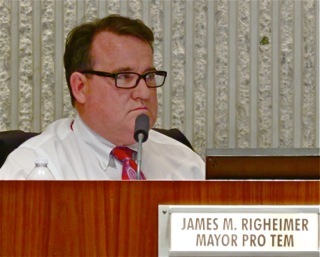 Righeimer, Monahan and of course, Mensinger, threw the residents of this city under the bus big time last night. While they selected the Option 1, the option that would realize the least amount of revenue for the city, gaining us thousands (maybe), CARE Ambulance will realize millions from this move. This is our money they are tossing out. Now more than ever, I believe there is something connecting Righeimer to Falck (who owns CARE and G4S), and it isn't just campaign contributions. There is something very insidious with deep roots going on here. Katrina was absolutely right. Our mayor made it clear last night that the residents safety, response time, over worked CMFD, mean nothing to him. This man is up for re-election for God's sake. He needs to go. His agenda means more to him than this city and its residents. 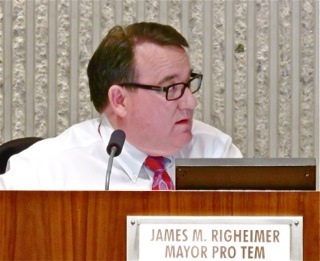 Righeimer lied several times last night indicating that he never voted for the CMFD to transport. He just bought those ambulances (with our money) for fun? But if you look at the minutes from the council meetings, he most certainly did buy them with the intention of transport. For 3-1/2 years they have worked toward this, done study after study, and maneuvered all over the place just to have Rig say it never happened. All that staff time, money on reports, man hours spent, all down the drain. Its laughable to hear Gary, telling everyone that he doesn't believe the figures from the consultants who have long, distinguished careers in this business, that he doesn't believe the figures they produce. This is a first. Gary, who can't run a business to save his life, his smelly bar going downhill fast, made such stupid comments, indicating that he knows more than the experts, and votes once again in lock step. That was a really embarrassing move. Now, more than ever, we need to vote these guys out of office. There are other motives here and its obvious. 2016 cannot come soon enough. 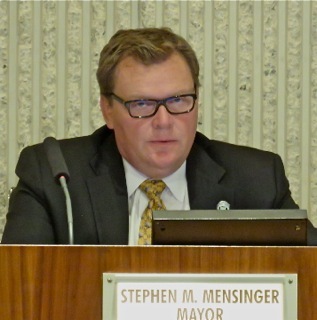 Throw Mensinger under the BUS because that's what he has done to pur city and residents. Falck is a Danish company that owns CARE. He knew that there was no way that the Council Men would sign off on option 2(CMFD ALS & BLS transport) because Riggy doesn't want to get into the transport business, if that happens he can't get private EMT's and paramedics into the City. Option 4 (City EMT's to drive the ambulances) was never going to happen because the last thing Riggy wants to do is to hire more people and put more people into a CALPERS system. Option 3 (public/private partnership) was the recommendation by the Fire Chief and the CEO,and we all know that if it is recommended by experts, the Council Men will go the other way against it and this option also didn't have a chance once Riggy found out that CARE wouldn't be a part of the plan, so that leaves us with option 1 (current plan). The City and the Fire Department have been using this plan for years so what's a another year, because once the election is over and the City Council looks a little different (bye-bye Gary and Mensy)I'm sure all these options will be looked at again and the best one for the residents will be chosen. Righeimer reminds me a bit of the old joke about the Polish coyote (or whatever ethnic group you are ranking on; pick your own) who chewed off three of his own feet and was still stuck in the trap. The Soviet three ends this year, I think. Delenda est Karthago!